This new book by Carey is a prequel/retelling of the famous William Shakespeare’s play: The Tempest. The story starts when Miranda is six years old and she lives with her father, Prospero, on the island where they were exiled by Propero’s treacherous brother so it starts quite a few years before the actual opening of the play, however it does end pretty much at the same time as The Tempest. When the book starts, Miranda is a very isolated child, her only companions are her father and several spirits conjured by him. She doesn’t know a lot about who she is or the world she lives and her father mostly lets her in the dark. However, she soon realizes that she’s not the only child on the island, a wild boy with dark skin that can’t speak but who seems to observe her from afar. Prospero wants to capture this child to “civilize” and to control him thanks to his magic abilities and his capture might allow Miranda to finally make herself a friend. I love Jacqueline Carey, she is one of my favorite fantasy author, I have read two of her trilogies set in the Kushiel universe and I really liked them, they are gorgeously written and fascinating reads. Anyway, let’s just say that I was immedietaly inrigued by Miranda & Caliban when I first heard of its existence. I knew that Carey knew how to write but I was curious to see how she would approach a retelling of this famous play. Miranda and Caliban was definitely a good book and one of its strongest point was, in my opinion, the writing. It is very lyrical and is very reminiscent from Shakespeare’s prose. It might be a little “heavy” for some but I did find that it flowed very well and that it worked with the story and the tone of the book. The characters were also well drawn with really interesting personalities. I liked how Carey portrayed Prosepero, whose love for his daughter wither in comparison of his love for vengeance. Ariel was also a very interesting character, I don’t know why but when I read the play (a few days before starting this book), I pictured Ariel as female and it was a bit surprised when I realized that Carey used the pronoms « he ». I guess for me the name Ariel was a female name but anyways, it doesn’t matter much because, I think that the character of Ariel can change genders when they want. Miranda and Caliban relationship was also complex and it was fascinating to see how those two characters that were at the same very different and quite similar built their relationship and how their feelings influenced the story. So, overall, I found Miranda and Caliban to be a strong book, however, as much as I liked the amazing job Carey did using Shakespeare’s world, I just wished she had taken more liberties with the plot because I felt like , the fact that she limited herself to telling the story in the same way Shakespaere did, restrained her and I wished she had gone farther in the story. If you are looking for a tragic romance story and that you are a fan of The Tempest, treat yourself and read this book. If you have not read The Tempest but you are still intrigued by this book, you should also try it, it stands on its own very well and it could be a great introduction to The Tempest. I received a copy from Netgalley in exchange for an honest review. My thanks to Tor Books. 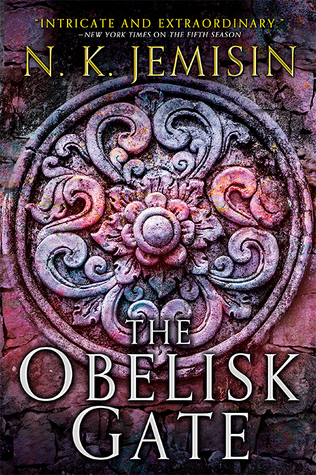 I mentionned in my last wrap-up that I would do mini reviews of The Obelisk Gate by N.K. 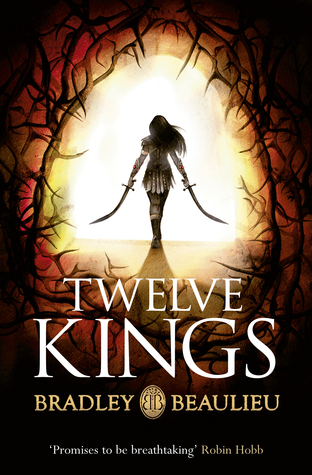 Jemisin and Twelve Kings by Bradley Beaulieu, two three stars reads that I read in January! The Obelisk Gate was the first book I read in 2017, it was one of my most anticipated 2016 releases that I had not the chance to get to last year even if it was the sequel to one of my favorite book of 2015: The Fifth Season. I had heard that it picked up right at the end of the first book and that it was better to reread The Fifth Season before starting it because otherwise, the beginning could be confusing so that’s what I did. I think that it was both a good way to understand The Obelisk Gate better but at the same time, I’m pretty sure that the reread tainted my opinion of the sequel. It might be a bit weird but I love the first book so much (even more after the reread) that reading the sequel expecting to be as impressed wasn’t probably the best thing. Indeed, The Obelisk Gate is a good sequel, the new characters introduced, the expansion of the worldbuilding, the different explanations of the things that happened in The Fifth Season, all of those aspects were well done. The relationships between the characters were really fascinating and overall, I should be pleased with it. However, The Obelisk lacked the “wow” factor of the first book and because of that, I can’t bring myself to give it more than a three stars rating, it’s probably a bit unfair but I just liked it. However, I would still absolutely recommend this series if you are looking for a very original story set in a world where some people can lift mountains, create tsunamis and end the world…The third and final book of this trilogy, The Stone Sky, is coming out later this year and is one of my most anticipated releases of 2017! Twelve Kings was the first book I bought when I received my Kindle about a year and a half ago and I finally decided to pick it up on a whim. I heard a ton of great things about the setting, the worldbuilding and the writing of this book and almost all the reviewers I trust a lot really liked it so I really expected to love it. It sure isn’t bad but, I don’t really think that it lives up to the hype. Yes the desert setting is interesting, it is really nice to see epic fantasy books that aren’t set in European Middle Ages setting but the story was fairly stereotypical. A badass teenage girl wants to avenge the murder of her mother by killing the twelve ruling kings of Sharakai, a rich city set in the middle of a desert. Of course, dramas ensue and our heroine needs to save the day. This book was entertaining, the main character was very badass but it could have been much shorter and overall the plot was pretty predictable. I enjoyed myself while reading so that’s good but it’s not groundbreacking in my opinion. If you have read the sequel, I would be curious to know if you liked it more than the first book or not. I am not the biggest fan of Gaimain’s novels however, I tend to really enjoy his short fiction so I when I saw that he was coming up with an anthology based on Norse mythology, I was immediately intrigued! I have read two trilogies by Carey set in her Kushiel universe and I love her prose. 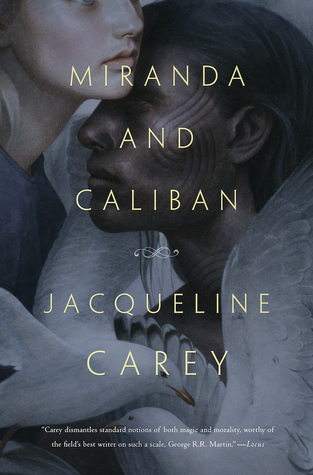 The premise of the story is very interesting to me, I definitely want to see how Carey is going to picture Miranda and Caliban’s relationship and how she is going to tie everything with the Shakespeare play The Tempest. I know next to nothing about this book except that it is supposed to be a very lyrical and fantastical story and that I really want to try Beagle’s works. This fantasy story set in nineteenth-sentury China follows the aftermath of the opening of a mysterious portal. I really like to read stories set in Asia and the cover is gorgeous, so, I’m in! Set in an universe of organic planets, The Stars are Legion, follows the story of Zayn, a woman without memories that holds the power to save the Legion. I already read this as an ARC, you can find my full review here, it is a very strange books but it has a ton of very cool ideas. Tom Barren lives in 2016 but not in our 2016, in the 2016 that we imagined years and years ago with flying cars and everything available from the touch of a button. What would happen if he was suddendly thrown in our 2016 ? I don’t know about you but I definitely want to know! January was a very busy month for me, I had my finals at the beginning of the month and then I started an internship, because of that, my reading schedule was a bit disturbed but I am still happy with what I managed to read! As you can see, most of my reads were 3 stars which means that I like most of what I read. I should have mini reviews of The Obelisk Gate and Twelve Kings up soon, I had really high expectations for both of them and even if they were good books, they both didn’t met my expectations, I guess sometimes I just want to much from certain books… Rosewater was the hidden gem of this month and I am fairly certain it will end up on my favorites of 2017. 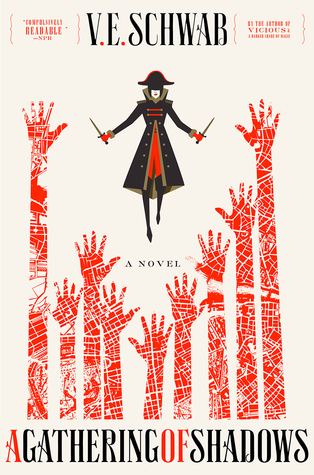 I didn’t finish A Gathering of Shadows by V.E. Schwab after reading about third of it. It wasn’t awful but I really didn’t care about the story and I didn’t want to force myself to finish it. I might go back to it in the future if I feel the urge, Schwab’s writing is good and I like the world of this series, it’s just that it wasn’t the right time for me to read this! I finished The Fortress at the End of Time by Joe McDermott a two days ago and I am currently reading The Tempest by Shakespeare in preparation for Miranda & Caliban, Jacqueline Carey latest novel that I also plan to read this month. It’s my first Shakespeare and I’m struggling a bit with the langage since english is not my native tongue and I didn’t get to study Shakespeare. However, I like the story and I have to say that it is quite funny at times! As for the rest of the month, I don’t have many plans so I’ll have to see what I’m in the mood for!